You might have read that we’re a bit anxious about hail after the devastation last August. Followers on Twitter and friends on Facebook will have noticed my, ahem, occasional mention of looming storms. Mercifully, there’s been no repeat of the hail, although the constant forecasts of ’Risque de Grêle’ has brought on several sleepless nights. Below is a collection of tweets with references to umpteen hail warnings from the French Met Office, notably in May, June and June. We now think they put ’risk of hail’ alongside most storm warnings just to cover themselves. But you never know. We’ve had our fair share of hail over the years. And tonight, the forecast is for a huge storm running from the South West of France, heading north. The G-word – Grêle – is the one we fear most. It’s rare to see mention of giant grêlons in advance. This report also appears on JancisRobinson.com and Liv-ex. 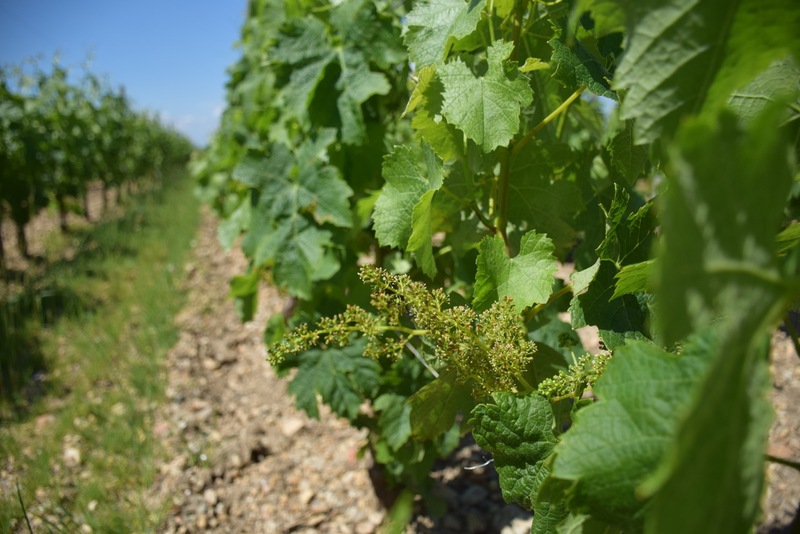 The flowering has started in Bordeaux and, with any luck, the weather might just be with us for this critical stage of the growing season. Bordeaux 2014 has been up and down so far and, of course, there’s a long way to go. Somehow though, as I tried to cheer up some fellow growers during a cold spell recently, it feels like it’s going to be a good year.